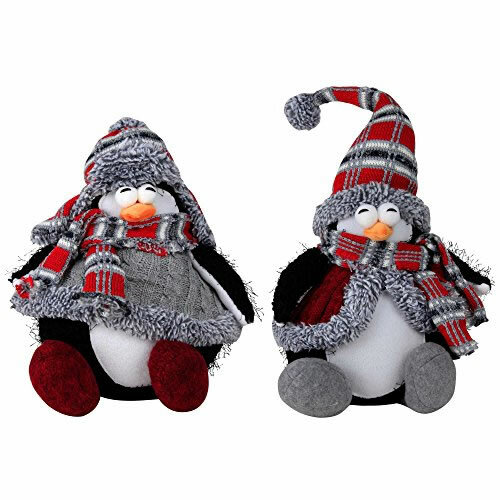 A cute and cheerful plush penguin ornament set for the Christmas home, made from fabric with winter attire in the form of a red and grey jumpers, knitted scarves and pointy hats. Hats can be adjusted into any position you choose. Can be placed on a shelf, windowsill etc. or as doorstops.